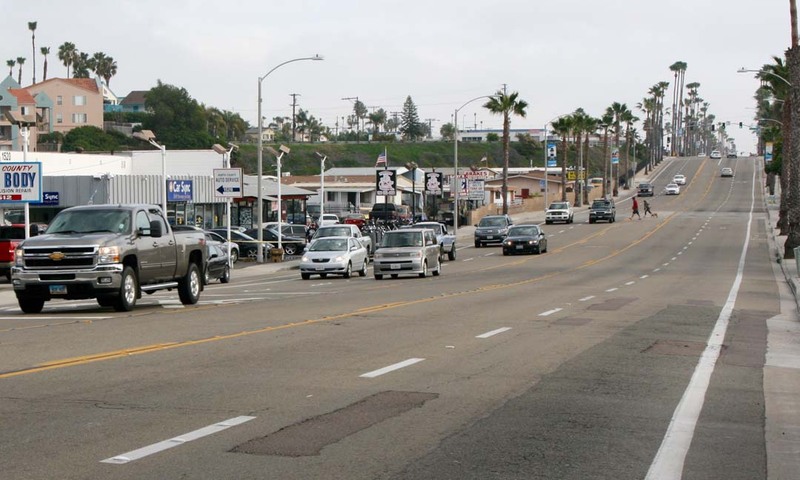 OCEANSIDE — The City Council approved expenditures for radar feedback signs on two busy roads, but postponed approval of a flashing beacon crosswalk for the dip area of Coast Highway on March 15. The radar feedback signs will be posted on College Boulevard and Canyon Drive to alert drivers to their speed and the legal limit. The solar powered feedback signs light up with a miles per hour reading of passing vehicles. Right beneath the vehicle speed is the posted limit to remind drivers to be compliant. David DiPierro, city traffic engineer, said the feedback signs have the strongest impact the first two years they are installed. During that time the majority of traffic slows by two miles per hour. After two years the feedback signs continue to be a good reminder to drivers. The nixed Coast Highway mid-block flashing beacon crosswalk, which was planned to be part of the traffic lane reduction test pilot area, known as the dip, is on hold until the city decides on highway improvements. Initially a flashing beacon crosswalk, at a cost of about $15,000, was included in the test pilot area between Morse Street and Oceanside Boulevard. The city has implemented traffic lane reduction from four to two lanes, and the addition of eight-foot wide bicycle lanes and buffers. DiPierro said further investigation found extensive work is needed to make the planned crosswalk ADA compliant. Pop outs would need to be built to ensure safety and compliance. It was also determined the beacon crosswalk would be more difficult to install across four lanes of traffic if the city decides to re-widen the highway in the test pilot area. Installing a crosswalk will be on hold until a decision on highway improvements is made in fall. The city is currently conducting an EIR study on the options of reducing all, none, or part of Coast Highway to two lanes. A workshop was held on March 29 to approve $122,000 in additional funds for the Coast Highway Corridor Study. Speakers were almost evenly split between the options of leaving the highway four lanes, or reducing all or part of it to two lanes and adding roundabouts. Those on both sides of the lane reduction discussion requested more crosswalks. Many specifically asked for a crosswalk in the dip area. The City Council did not discuss highway options during the March 25 workshop. 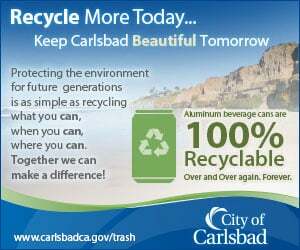 There was also no council discussion on March 15, when the Coast Highway crosswalk was postponed, and a flashing beacon crosswalk was approved to be installed on Harbor Drive. The total costs for safety improvements on the three streets is $95,000. Improvements are funded through the TransNet half-cent sales tax fund.